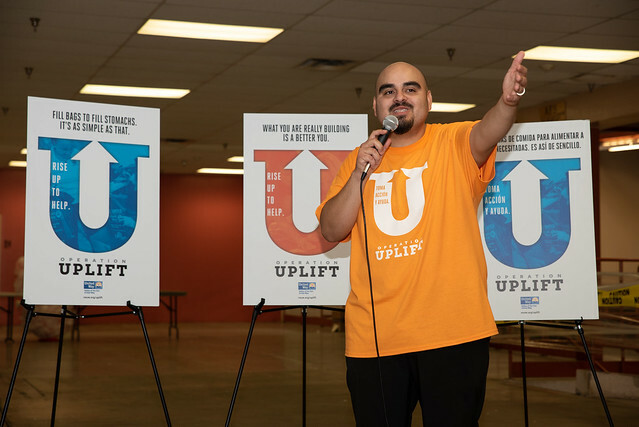 Maricopa County is taking action with Valley of the Sun United Way’s Operation Uplift — a community-wide movement to inspire thousands of volunteers across the Valley to Rise Up. 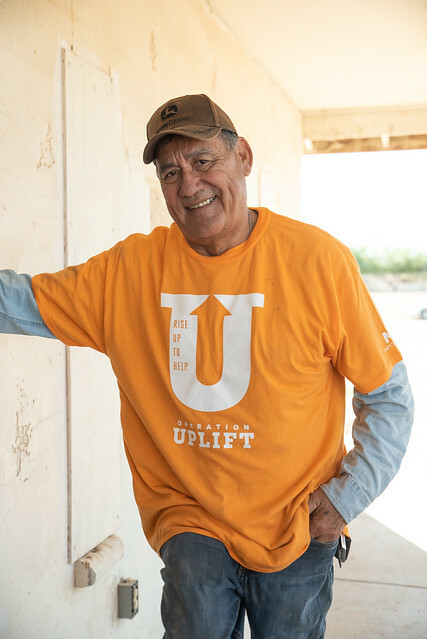 Rise Up for a community-wide movement of volunteerism and meaningful connections to transform Maricopa County into a community of action. Operation Uplift is being led by an Organizing Committee comprised of community residents, business and community partners. 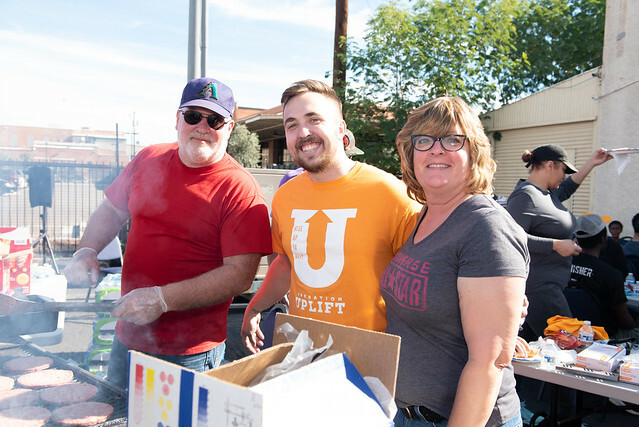 Operation Uplift serves a variety of communities throughout Maricopa County, including Maryvale, Guadalupe, Central City and South Phoenix through several service opportunities driving civic engagement. We rise up to strengthen schools, grow local food systems and address community needs by first listening, then lacing up our shoes and getting to work. Volunteers have the opportunity to sign up for Operation Uplift events. In celebration of National Volunteer Month, we are asking Maricopa County to Rise Up to Help at any of the dozens of volunteer events throughout April. See a recap from each event at the links below. To maximize the impact this movement can have, we are introducing the Operation Uplift Micro-grant Program. The program invites any community member, public school, or 501(c)(3) organization, within Maricopa County, with a volunteer project idea to apply for a micro-grant to receive assistance with their project. Get the tools you need to complete your volunteer project. We have collaborated with the Phoenix Community ToolBank to offer almost any tool for any volunteer job. (See a list of tools here.) From community clean ups to school beautifications and community murals we can help you get the tools you need to get the job done. If your need extends beyond tools, Tier 2 offers additional materials. In addition to providing the tools needed to complete the project, examples of materials in this Tier may include paint, roller pads, drop cloths, trash bags, hardware, tape, and more. In addition to Tier 1 or 2, Tier 3 offers a opportunity to apply for a potential financial grant up to $200 in total project costs to local 501(c)(3) organizations or public schools. 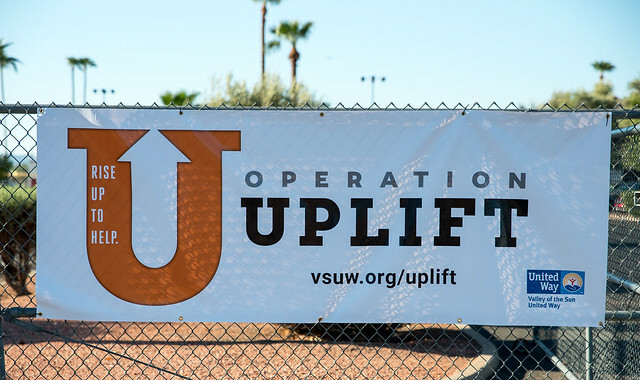 If you have a group that is ready to Rise Up to Help a community project to improve Maricopa County, download the Operation Uplift Micro-grant Program Guidelines and Application, review the program guidelines and requirements, and then submit the completed application to volunteer@vsuw.org. Everyone is invited to participate in Operation Uplift. Are you coordinating a community volunteer event and want to share the logo and message? We have a variety of materials you can use, including posters, graphics, and more in English and Spanish. Download at the links below. And please email us at volunteer@vsuw.org to tell us about your event!